SAY Detroit takes a cradle-to-career approach to child development, academic enrichment, and educational opportunities through several programs. 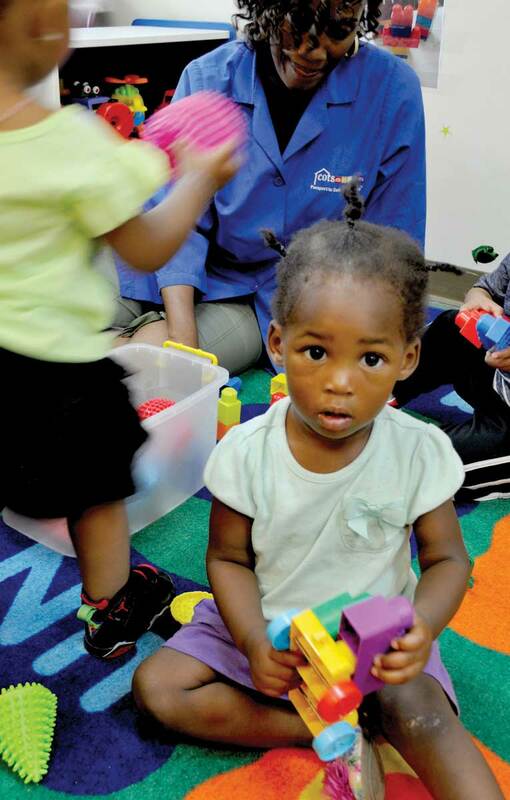 The COTS’ Bright Beginnings Infant and Child Development Center is one of the very first programs funded by SAY Detroit at its inception in 2006. A joint initiative of COTS, SAY Detroit and Ilitch Charities, Bright Beginnings is a free day care program for infants and toddlers. Ninety-nine percent of its clients are mothers who are working, seeking work, or coming through treatment, many of whom require extra special care due to current family circumstances. Aimed at breaking the cycle of homelessness while providing quality education to its students, Bright Beginnings is designed to keep children happy and safe while preparing them for a bright future with the priceless gift of education. According to research studies, 75% of all homeless children under the age of five have at least one major physical, emotional, cognitive or behavior delay. These delays can inhibit growth into fully functional adults, which can perpetuate the cycle of homelessness. COTS’ highly-trained and dedicated staff gives each child a solid foundation to grow and learn. COTS strives to ensure that these children receive greater tools for success and to provide the continued assurance that they are special to the world. Without the child care help Bright Beginnings provides, it is almost impossible for homeless women to find the work or complete the education that breaks them out of a cycle of poverty and homelessness. The nation’s first health clinic devoted to homeless children and their mothers. Medical care, including examinations and health and wellness programs, are provided for free. In a rebuilt rec center, after-school students commit to earning a 3.0 GPA and enjoy first-rate academic, athletic & arts programs in partnership with Detroit’s major sports teams. Provides funding for summer scholarships and full four-year college tuition scholarships to needy Detroit students at the prestigious College for Creative Studies.